Are you looking for some new grooming gear, fellas? I know, there’s just so much out there, it can be overwhelming. You never really seem to know what’s good and what’s hype, or what’s good for you. In all of my travels around the men’s hygiene and grooming, I’ve come across a few brands that I’ve liked a bit more than others. Here’s a little bit about one of them, plus some info about some of their awesome products. H2O at Home is an innovative home and personal care company on a mission to improve lives with high-quality, 100% natural products that are environmentally friendly and easy-to-use. The company provides quality care to nourish your skin at night and protect it during the day with its organic personal care line, H2Bio. H2O at Home adheres to strict European eco-certification standards for the organic and natural ingredients in of all its products. H2O at Home has launched a new men’s skincare product to alleviate the irritation and dryness that daily shaving and cleansing can cause. It’s pretty awesome. 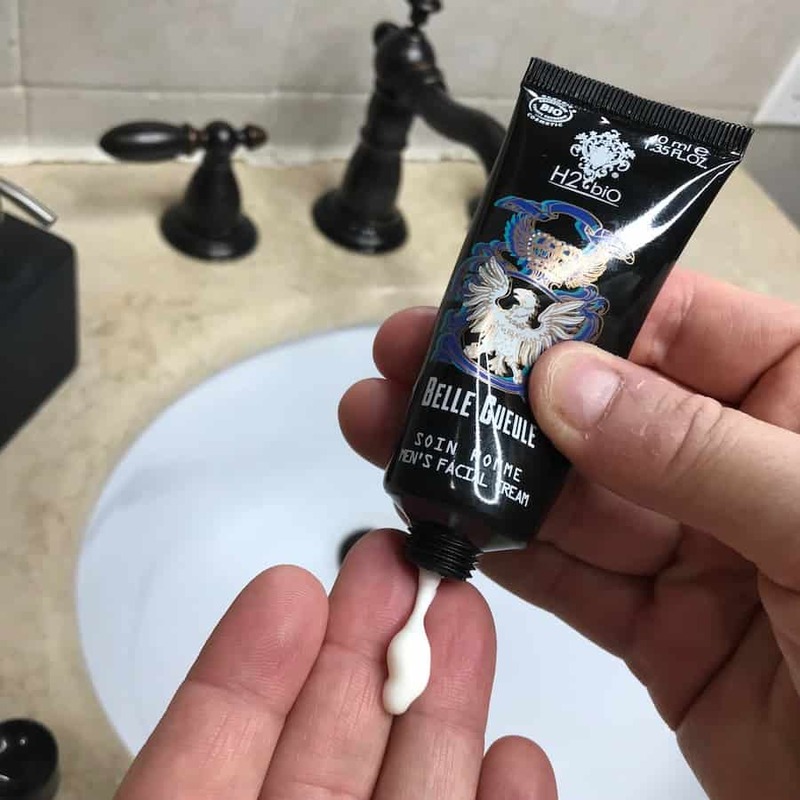 H2O at Home’s Men’s Facial Cream ($35) is a 100% natural 3-in-1 after shave, moisturizer and anti-aging cream for complete after shave care. The cream reinforces the skin’s natural defenses, alleviates discomfort and prevents the appearance of redness and imperfections. This moisturizing blend ($29) comforts and softens the skin and is great for the entire family. Crafted according to the original Provencial recipe, the mix of natural and extra virgin olive oil soothes and hydrates the skin. The best companion for sensitive and dry skin. Smells good, feels good, makes you all good. The Foamer in black ($19) produces light and fluffy foam using any H2biO soap such as the Marseille Soap combined with just water and air! Holds up to 13.5 fluid ounces of liquid. Looks good and makes that soap all foamy and special. How can you go wrong? To find out more, be sure to check out H2O at Home, Instagram, Facebook, and Twitter. I’ve been interested in using more organic, natural skin care products. This time of year, I have to use more lotion to keep my skin from drying out. I too hate feeling “creamy”. I wonder if that would be good for my beard….. Sounds like you have a nice skincare regimen going! 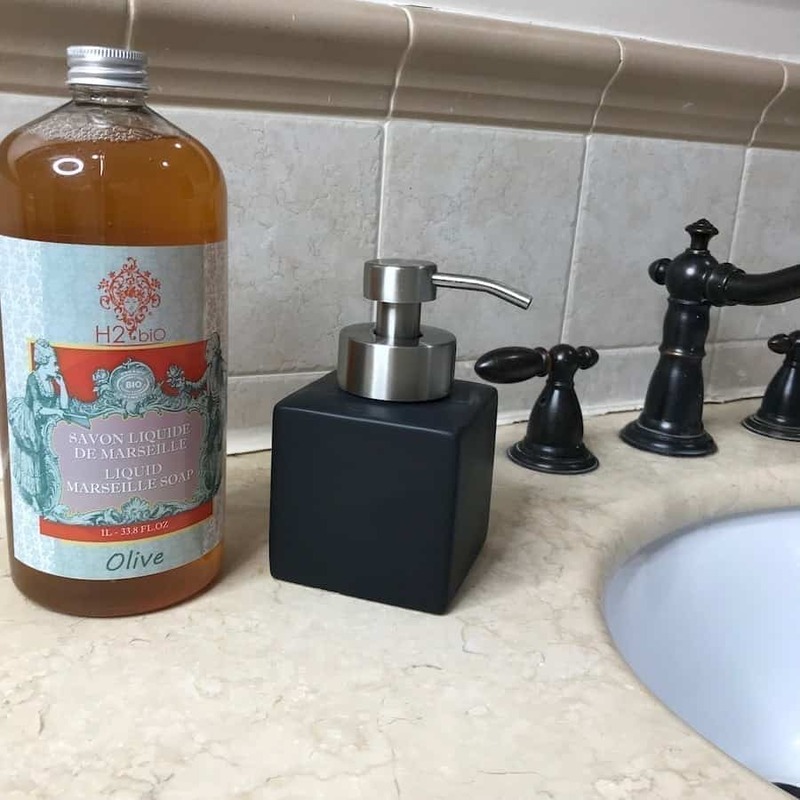 The Marseille Liquid Soap sounds perfect to keep in the bathroom. The Marseille soap is AMAZING and so versatile! We use it for shaving, hand soap, and my personal favorite use? Makeup Brush Cleaner! Sounds like a wonderful company I have to look into ordering this for my husband. Ohh I have to admit H2O isn’t a brand I have heard of before but my partner has been after some new grooming items so might have to get him this to try! THose really sounds like they could help with sensitive and dry skin. But, honestly, they look good too. I would feel comfortable letting my husband put these out in the bathroom. These look like fabulous skincare products for men. I might have to look into getting a few of these for the hubby. My hubby can use some new grooming products and this brand looks good. I have not heard of the brand, but it is worth looking into it looks like. I’ve never heard of this brand! I really need to check them out for my husband. I’m sure he would love them. My teen boys have 2 of their products and love them. I can’t say I know much about them other than H2O was on their Christmas list thus past Christmas and they have been really enjoying their foamer and soap. I think these need to be in my husband’s Easter basket! A little pampering is always a nice gift idea. Bonus points as it works for the whole family so I can sneak some too. Sweetie could use some of this. Even though he has a beard, the rest of his face can show how he cares (or doesn’t) about his skin. Gracias for the intro. These products are amazing!! I have been using them the last 3 years. My hubby is really enjoying the facial cream since this past July. It has worked great on his skin and helped with irritations so much he had me order more the other day. I use the Marseille soap in all my bathrooms and at the kitchen sink. That huge bottle last a long time. Thank you for your review, this company has changed my families life!